'First Reformed' director Paul Schrader discusses the spiritual roots of his acclaimed new film. It’s not even close: First Reformed is the best movie about faith in some time. Ethan Hawke delivers a lead performance that should see Oscar buzz, and writer/director Paul Schrader, of Taxi Driver and Raging Bull acclaim, brings a level of consideration and calculation that spiritual fare hasn’t seen in a theater for years. Schrader is a Hollywood legend, with a resume as robust and complex as anyone in his era. His movies are dark and sophisticated, and while First Reformed is no different, it has more direct ties to Schrader’s spiritual foundation than anything he’s made before. We spoke with the mind behind First Reformed to hear how he brought his vision to life. RELEVANT: When someone of faith is going to walk into First Reformed, how do you want them to receive the movie? Paul Schrader: I’m a product of the Christian Reformed church. I went to Grand Rapids Christian High and Calvin College. That was my life. I still go to church and it’s always been a part of my life. I also make secular and profane movies, and I have no problem with that, either. As a young man I wrote a book about spiritual film, but I never thought I’d make a film of this type because I didn’t think that was me. About three years ago I started to realize the time had come in my life to write a film about a crisis of faith, and that’s how it began. I did a seminary tour about a month ago. We showed the film and had a Q&A at Yale Divinity, so I had a chance to speak to a lot of theologians and seminary faculty and students, so I did have a good feel for how the film would be responded to. We wanted to go out into the community because if the crazies came after us, the haters, we’d have a background in the humanistic tradition of Christianity. So why focus on this story in particular? This character is really coming from the same place as a lot of people who might criticize some of your other movies. The first script I wrote was Taxi Driver, which was about a young man who was lonely. Fifteen years later, I wrote about that man as a drug dealer, anxious and middle-aged [Ed: This was 1992’s Light Sleeper]. Now I’m writing about him as a pastor and an older man. He’s caught with a sickness unto death. It’s an evolution of a character that has meant something to me over the decades. You wouldn’t expect that, because the church says a relationship with Jesus means you’re never alone. But that’s when God is listening. When you feel his silence instead, the shoe’s on the other foot. [Ethan Hawke’s character, Toller] says in the movie that his journal is a form of prayer. He’s trying to talk to God, but he keeps mentioning how hard it is. “How easy it is for people to talk about prayer who have never really tried.” He’s not the first person to feel there’s nobody on the other end of the line. Is that something you hope is a way into the movie for people who connect with that idea, or is it specific to this character? Every Christian at some point passes through a period where they think God’s not listening or they’ve lost communication and might never find it again. This is part of the spiritual dialogue of a conscientious person. Be my guest. No one’s making you see this movie. If this is not for you, fine with me. But if you are a person of faith, I think it deserves a view. My church sponsored a screening here in New York about a month ago, and we had a screening for the congregation. It was an edifying experience all around. 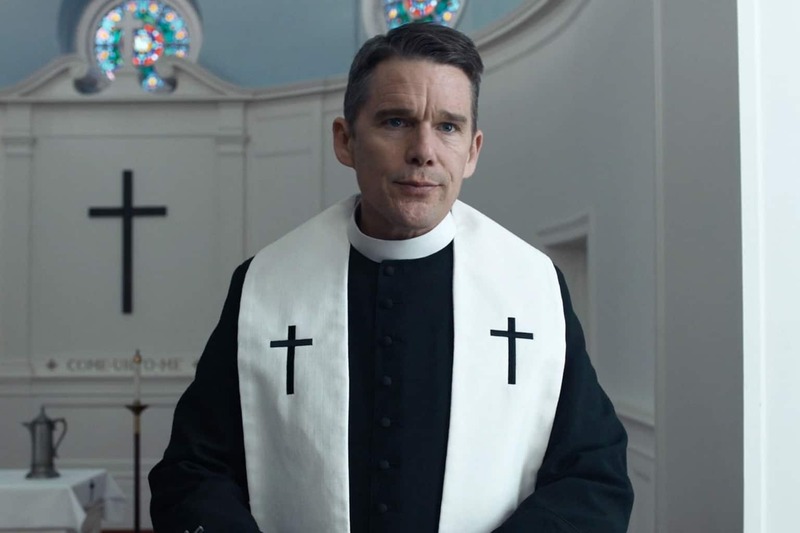 What was important for Ethan Hawke to bring to his performance as the pastor? Go quiet, go recessive, but still hold the center. That’s a tricky asset. How not to act, but still hold the screen. It’s a lean-back performance. When you feel the audience coming toward you, you have to lean away, and try to get them to lean ever more forward. Why do you want to avoid that connection? It makes the audience work. You can’t hold somebody’s hand and walk them into the mystery of faith, into the quiet place where the holy lives. They have to go on their own. If you use music and manipulation and acting to get them there, it’s not their journey. So you have to be recessive. I feel like that’s more honest, too. You’re not tricked into believing something. Yeah. I don’t have much positive feeling for faith-based movies, because I don’t see them as any different than ordinary Hollywood melodramas. You just shoehorn the concept of Christ into a story that could have been told the same without faith, and say it’s a faith-based movie. It’s not. If you want to talk about faith, you can’t use those manipulative devices. 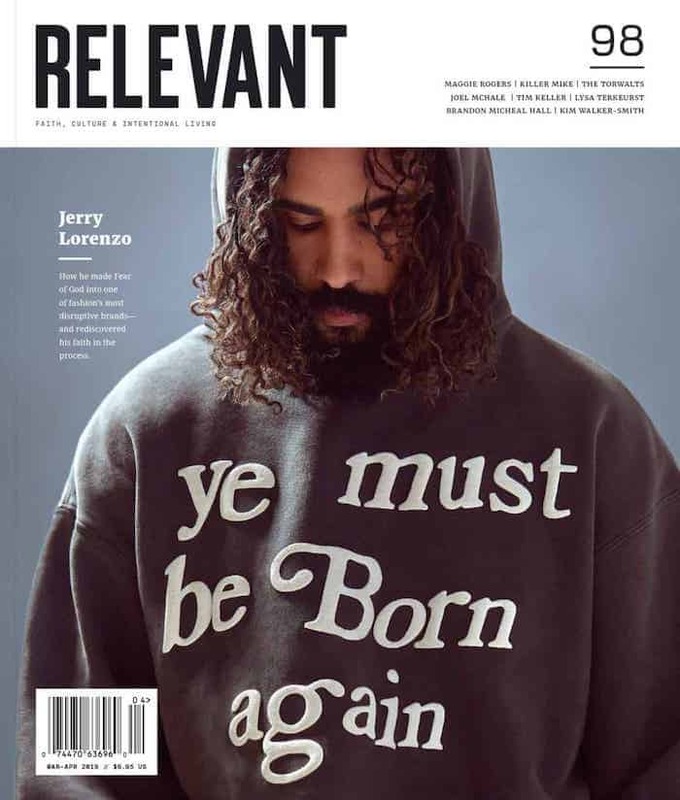 Just because an actor is cute or a guy is noble, that’s not reason enough to believe in Jesus. You have to recede and use withholding devices. This film is full of those.